These little things are the best snack if your craving something sweet and you need some energy. They’re also perfect at Thanksgiving/Christmas Dinner if you’re really craving some of that Pecan Pie! Pitted dates usually have a hole at either end. 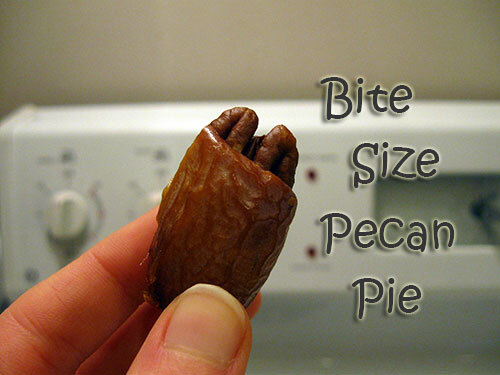 Take a date in your hand, and push a pecan in the hole of the date. That’s it! Enjoy this tasty and healthy snack!